Do you want to create a slider for your homepage? Sometimes your theme doesn’t come with a homepage slider, and you want to add one using a plugin. 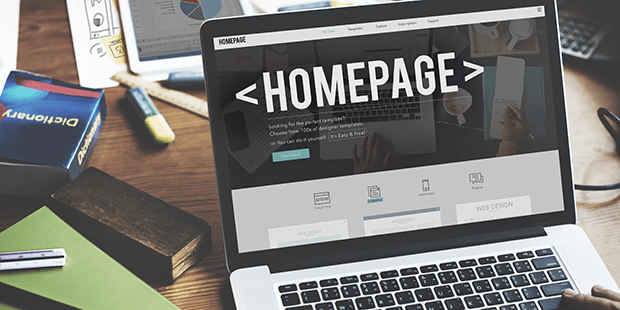 In this article, we will share how to add a homepage slider in WordPress. Many website owners use a moving slider on their homepage to engage their visitors or to display their portfolio. 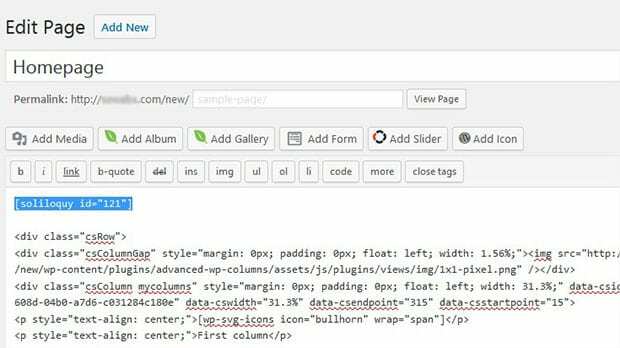 Some WordPress themes come with a simple homepage slider included, but many do not. For the most fully-featured homepage slider, you’ll need to install the Soliloquy WordPress plugin. 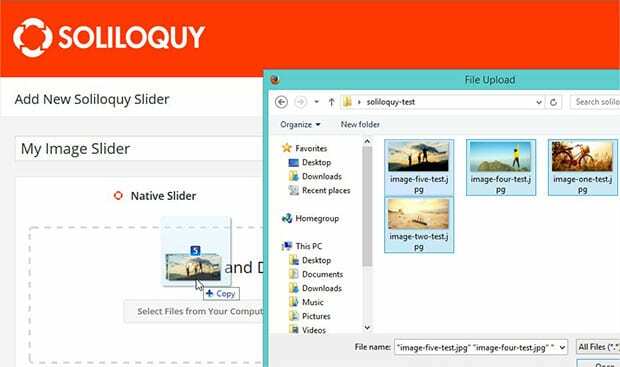 If you need help with this step, then check out our guide on how to install Soliloquy. Once you’ve installed and activated Soliloquy, create your homepage slider by going to Soliloquy » Add New from your WordPress admin backend. Start by adding a title for your homepage slider. Then drop your images into the Native Slider area. After adding your images, you can go to the Config tab to adjust your settings. Once you are happy, hit the Publish button to save your changes. For more details on creating your homepage slider with Soliloquy, check out our guide on how to create an image slider in WordPress. Now that you’ve created your homepage slider, now it’s time to add it to the homepage on your site. This is the simplest method to add a slider to your homepage. 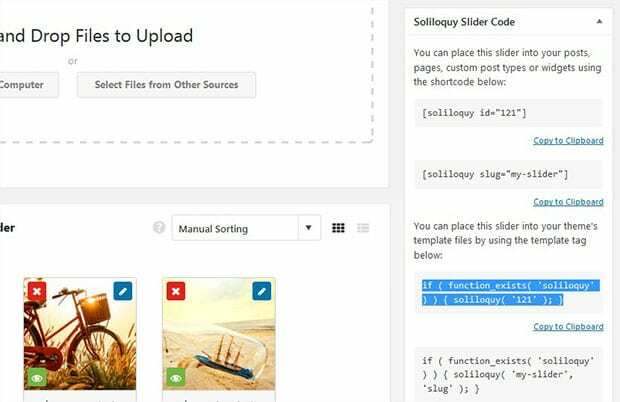 From the edit screen of your homepage slider, simply copy the shortcode inside the Soliloquy Slider Code widget. Then, edit your home page and paste the shortcode into the visual editor. That’s it! Now your homepage slider will appear on your WordPress site. If you want your homepage slider to be added to your theme’s header, you’ll need to use the template tag. First, edit your image slider and copy the template tag from the Soliloquy Slider Code widget. 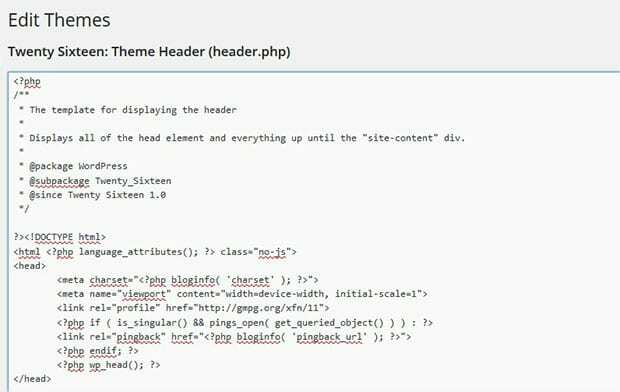 Then, paste the template tag to your header.php file, so it will be displayed in the header on your homepage and the other pages on your site. That’s it! We hope this article has helped you to learn how to add a homepage slider in WordPress. You may also want to check out our guide on how to create a WordPress slider for custom post types. If you like this article, then please follow us on Facebook and Twitter for more free WordPress tutorials. You can also subscribe to our newsletter on the right of this page! Hey Michael, glad you like this article. 🙂 Do follow us on Facebook and Twitter for more free WordPress guides. Why dont you show WHERE to add the template tag. That’s the most important information of this article…and its missing. I am sorry, but explaining the obvious while not explaning the important things is not very helpful. You could say it is useless I guess. And why do you even upload an Image of the Header.php if the template tag isn’t in there? Just WHY? That is the information noobs like me need. Hi! Can you please explain step by step how to add this to the header.php file? I am not sure where to find it or add the shortcode. Hey Ebony, you can add the template tag in your header.php file at the place where you want to display the slider on homepage. Shortcodes are recommended for WordPress pages and posts. But how do we access the header file so we can make changes to it? Not every theme allows this? I already have one homepage slider,but i did another slider and i want to change to new one without delecting old one…How can i do ?